Groff Murphy, PLLC was founded by lawyers with big firm experience who wanted to provide high quality legal services to their clients, with the flexibility and efficiency of a focused smaller firm. Since its formation in 1992, Groff Murphy has attracted experienced lawyers with similar goals and commitments. Groff Murphy lawyers enjoy practicing together and enjoy the teamwork of working closely with their clients. Groff Murphy lawyers represent local, national and international clients in the construction, government contracts, and real estate industries on both private and public projects. Groff Murphy has an established record of helping clients find creative solutions to complex problems. The firm provides legal services for litigation, arbitration, and administrative proceedings, and is a leader in alternative dispute resolution. Groff Murphy also represents clients in Federal False Claims Act matters, matters related to Small Business Administration compliance and other legal issues unique to government contracting. The firm's attorneys have extensive experience in drafting and negotiating contracts of all sizes and complexities. In addition, the firm provides regular day-to-day advice to help clients successfully maneuver in a complex legal landscape. The firm has extensive major litigation experience, but believes that its first responsibility is to keep clients out of trouble through effective strategic counseling, practical advice, effective negotiating and careful drafting. Groff Murphy lawyers follow the belief that effective lawyers listen carefully to their clients and provide responsive advice and counsel. We approach legal issues as members of our clients' team, and continually strive to meet our clients' business objectives. This teamwork approach has enabled Groff Murphy lawyers to work with its clients toward productive solutions, rather than to simply identify legal problems and obstacles. Groff Murphy has demonstrated experience in labor and employment law. Employers face some of their greatest challenges from within their own company - their employees. The number of laws that companies must comply with is staggering: Title VII employment, the ADA, the ADEA, the FLSA, the NLRA, WARN, the FMLA, the Davis Bacon Act, the Drug Free Workplace Act, as well as a whole host of state laws that both mirror and contradict the Federal laws. Lawsuits ranging from hostile work environment and sexual harassment to breach of contract are common place. Groff Murphy can help guide your company through this morass of confusing, and sometimes conflicting, laws. Our attorneys are experienced in all aspects of employment law, including defending against all types of employment related claims such as wage and hour claims; breach of contract; and wrongful discharge. We have been successful in enforcing non-competition and confidentiality agreements. In addition to employment issues we are experienced in guiding companies through a wide range of labor problems, such as disputes/violations with State and Federal labor agencies, negotiating labor contracts with unions, and advising employers on their labor relations with various unions. In performing our legal services, we keep our firm's primary goal in mind: providing the highest level of service while understanding the cost of legal representation. We will take a case to court when necessary; however, we are very experienced in utilizing all types of alternative dispute resolution from mediation to arbitration to resolve disputes through the most efficient means possible. We also offer our clients preventive counseling by examining company practices to make sure that they comply with the most current version of employment and labor laws and offer seminars on a wide range of topics. David Groff provides counsel and strategic advice to construction industry and government contracts clients throughout the western United States. His clients include general contractors, engineers, and public and private owners. Mr. Groff's practice philosophy is that effective representation requires that a lawyer be in touch with his clients' business objectives. Mr. Groff provides day-to-day counseling to numerous clients on a variety of business and contract issues. He acts as outside general counsel to many of his clients. He is an active industry participant and a frequent lecturer on construction law issues. 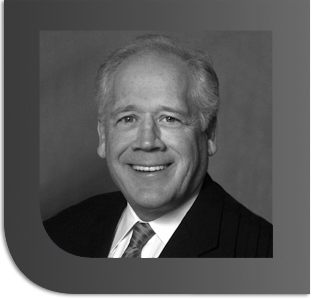 Mr. Groff has handled complex litigation and trials in state and federal courts, and participated in numerous arbitration hearings. His experience includes contract disputes, bid protests, insurance coverage disputes, and actions under the False Claims Act. He has been an industry leader in utilizing ADR to resolve complex, multi-party disputes. Some of the complex disputes that he has been involved in are: U.S. 20 Highway Project, Corvallis, Oregon, Sound Transit Maintenance Facility, Bellevue tower crane collapse, Cowlitz Falls Dam, Bellevue City Hall, Seattle Downtown Public Library, Key Arena, Plutonium Finishing Plant at Hanford, Seattle Art Museum, ERDF Nuclear Waste Disposal Facility, Airway Heights Correction Center, Boeing Spar Assembly Building, Detroit People Mover, Dallas Fiber Optic Network, Port of Portland Jumbo Jet Maintenance Facility and the Sea-Tac International Airport Expansion.